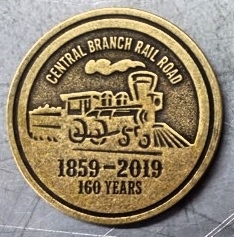 To commemorate the 160th anniversary of the Central Branch Railroad, we have commissioned a limited edition collector coin pictured above. The engraved solid brass coin was designed by professional graphic artist Barbra Agnew who has done work for Disney Studios. The coin is 2.5 inches in diameter and production is limited to 160 coins. They will be available for a $20.00 donation each and will come with a brief history of the Central Branch Railroad. The coins will be available beginning April 7 during the 160th Anniversary celebration and for a few weeks after until they are all sold. 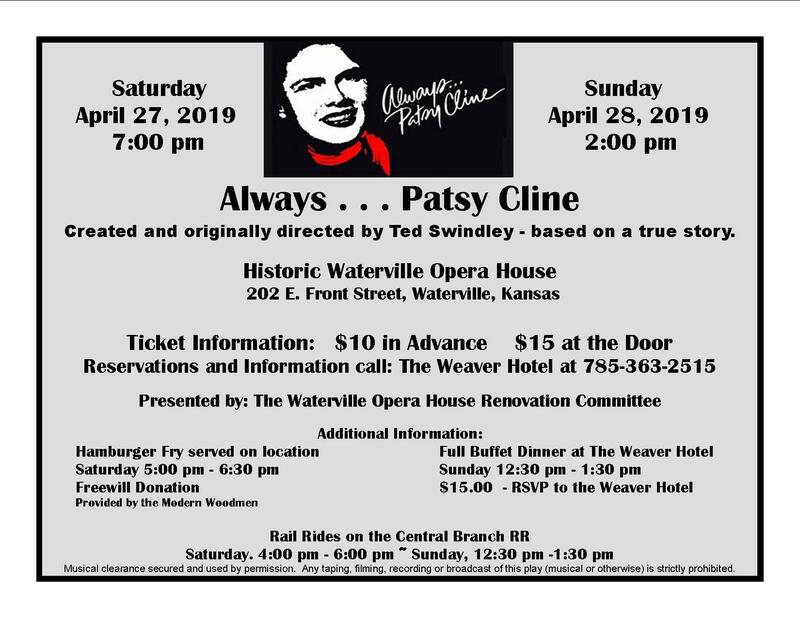 DonÕt miss out on this once in a lifetime opportunity to help us celebrate and to own a part of Central Branch Railroad history. The Marshall County Railroad Historical Society is a 501 (C)(3) not for profit corporation that owns and operates the Central Branch Railroad along 11.98 miles of track in Marshall County. The CBRR runs April-October 7days a week. Every year over 800 people ride on our trains! Click on the "Events" link for information on scheduled rides for the public. Contact us (see upper right) to schedule a ride for your group. Membership applications are now available! Click "Membership" to the right of the page to go to the application as well as pricing. We have a fine selection of photo slide shows showing our train rides and building of a model locomotive. See them at "Photos" and "Projects" on the navigation bar to the left.